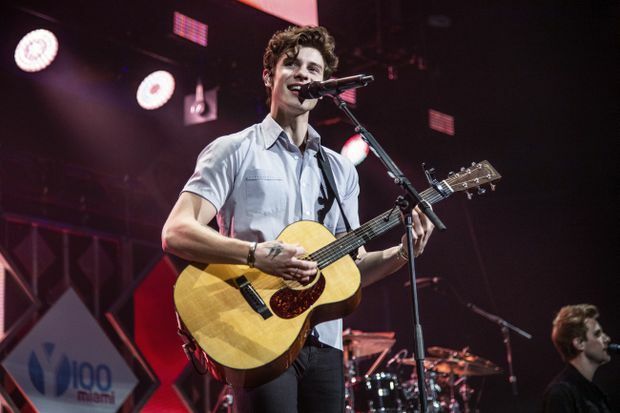 Shawn Mendes performs at Y100's Jingle Ball at BB&T Center on Dec. 16, 2018, in Sunrise, Fla.
A Canadian has never won a Grammy Award for song of the year. Given the rising prominence of this country’s artists on the international scene, however, the chances of a songwriter with a Canadian passport snagging a golden gramophone seem almost inevitable. Consider that prior to 2017, less than a dozen Canadian songwriters had earned nominations in the top-song category. A Gordon Lightfoot here, a Nelly Furtado there and throw in a David Foster (in 1980, for Earth Wind & Fire’s After the Love Has Gone) for good measure. Over the past three years, though, five songs with Canadian connections have been in contention for the trophy that honours the best sheet-music people. At this year’s Grammys (to be held at the Staples Center in Los Angeles on Feb. 10), Canuck contenders include Drake (one of the six co-writers credited for God’s Plan) and Shawn Mendes, who collaborated with three other writers (including Canadian Geoff Warburton) on the hit single In My Blood. 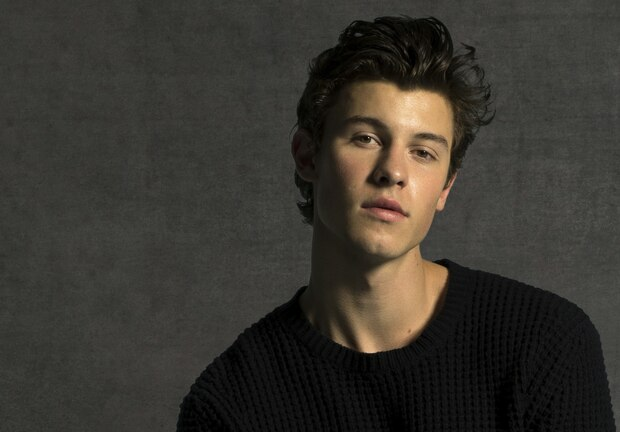 To find out what makes a hit song work, The Globe and Mail polled leading producers and songwriters to break down In My Blood, the lead single from Mendes’s self-titled third album. It’s a hit song of the dynamic, anthemic kind, with emotive lyrics about anxiety that suggest vulnerability and resilience. In My Blood is in our ears and on the charts, but how did it get there? In My Blood is the lead single from Shawn Mendes’s self-titled third album. Different fans are attracted to different things. It could be the beat and a hummable chorus, or it could be the ideas conveyed lyrically. Like the Beatles, Joni Mitchell and Kris Kristofferson before him, Mendes uses the word “help” to solicit sympathy and concern. The song’s rising, building progression makes it hard to ignore. Robbie Lackritz (manager of Leslie Feist and producer-engineer nominated for 2019 Grammy for sound-board work on Bahamas’s album Earthtones): “Well-executed pop productions focus on commanding the attention of a listener. They repeat lyrical and melodic hooks while constantly shifting the parts underneath them. In My Blood exemplifies this, shifting its parts every 14 seconds five consecutive times to start the song. It moves in and out of half-time, has big reverbed tom drums, four-on-the-floor kick drums, and transitions between single and doubled acoustic guitars. It all happens underneath a variation of the same repeated lyrics (“Help me …”), all before the first chorus." The chorus (“It isn’t in my blood") is a statement of defiance, an arena-ready sing-along and a cathartic release of the tension built by the verses. The song is 3½ minutes long. How do we feel when it’s over?